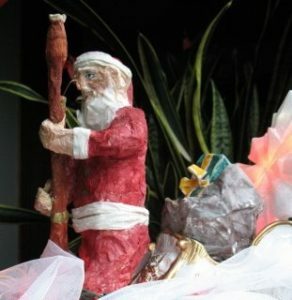 We’ve just discovered that Santa is a BASSOONIST! Here’s a list of famous people who played bassoon and perhaps went on to bigger things. Let us know if you have names to add to the list below. Did any US Presidents play bassoon? What did Charles Darwin have to do with the bassoon. Was he a bassoonist? This famous English composer best known for his Pomp and Circumstance and his orchestral work Enigma Variations also wrote Romance for Bassoon, a fine solo piece for bassoon and orchestra and sounds good with piano, too. He started playing bassoon in a woodwind quintet and wrote pieces for his group. The website “Elgar – His Music: Other Music for Small Orchestra” says, …the Romance for Bassoon and Orchestra, sits oddly among Elgar’s output until it is remembered that Elgar was himself the bassoonist in the wind quintet of 1878-1882. But this work is no throwback to the wind quintet days. The lazy, rather meandering melody of the Romance is in marked contrast to the lively, rather agitated style of many of the pieces for wind quintet and the formality of the slower movements. The composer famous for his theme from the movie Rocky and many other TV themes and movie scores, Bill played bassoon and won a scholarship to college on the instrument. As he put it in a conversation with Brother Bob, he had a choice of going up against a bunch of more talented pianists or go for the bassoon scholarship. “Born in Providence, Rhode Island on April 13, 1942, Conti began studying piano at age seven under the tutelage of his father, an accomplished pianist, sculptor and painter. At the age of 15, he organized a band and began to play for high school dances in Miami, Florida. He was a member of his high school band and symphony orchestra and won the “Silver Knight Award” from the Miami Herald for high achievement in the field of music. Conti received a bassoon scholarship from Louisiana State University where he majored in composition and played jazz piano at many of the local night spots to help defray the costs of his education. While attending LSU, he held a variety of musical posts including first chair bassoon in the school symphony orchestra, the staff arranger for the University’s marching band and accompanist for the LSU Ballet Corps.” Source Pittsburgh Symphony artist bio. The rest is history. Bravo Bill. We commissioned a work called Blue Set No. 2 from Peter. The very challenging work for quartet appears on our Wanted CD and is available in sheet music form as well. We’ve worked with Peter over the years on his PDQ Bach shows and have also thoroughly enjoyed hearing/watching his performances on the instrument. His Concerto for Bassoon vs. Orchestra had an unusual twist to it when he performed it in Portland with the Oregon Symphony in the 1980s. He arrived with a rented bassoon and soon discovered that it wasn’t playing quite right. A button was lodged in the low F tonehole! During rehearsal one of the keys fell off too. So we fixed him up with a replacement instrument. I’m still trying to figure out how he got the confetti to blow out of the bell. Peter performed his Abassoonata several years later in Portland and was such a hoot. Sheet music is available for this piece which calls for the bassoonist to play the bassoon AND piano, because the piano player has failed to show up on time. Peter has written another more serious concerto for bassoon and chamber orchestra, and the bassoon is prominently featured in a number of his chamber works. The Bassoon Brothers have recorded three of PDQ Bach’s pieces. Last Tango in Bayreuth, and Blue Set on the Wanted CD and Lip My Reeds on the Bassoon Brothers Escaped CD. We hope to commission another work if he is up to it. Brother Mark’s tromboon playing on Night Train (Wanted) and Sabre Dance (Captured) was inspired by Peter’s Oratorio called the Seasonings where the tromboon provides flatulance as well as a sweet melodic line. The tromboon is played with a bassoon reed and bocal attached to a trombone. Mark has performed this work twice with Peter in Portland. Most recently in March 2008 where he gave the definitive performance of the Seasoning’s tromboon part with the Portland Symphonic Choir. Chip went from playing the bundle of sticks to playing with drumsticks. He’s sold more than 36 million recordings worldwide. The alias of composer Chip Davis, Mannheim Steamroller, was among the pioneers of neo-classical electronic music, emerging as one of the driving forces behind the New Age phenomenon. Born in Sylvania, Ohio, Davis’ father was a high school music teacher, while his mother was a trombonist with Phil Spitalny’s All Girl Orchestra. His grandmother was his first music teacher, giving the child his initial piano lessons at the age of four; two years later, Davis composed his first piece, a four-part chorale written in honor of his dog. He later joined a boys’ choir as well, and while attending the University of Michigan played bassoon in the school’s concert band. Source WINAMP. Alan Silvestri and I were the bassoon section at Teaneck High School (New Jersey). — Source: Email from Terry Peck. 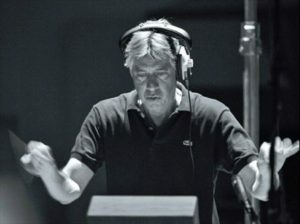 “In his ongoing, decades-long career as a composer, Alan Silvestri has scored some of the most iconically revered and profitable films in Hollywood history, amassing over a hundred credits to the tune of two Oscar and Golden Globe nominations, as well as three Grammy awards. While stylistically diverse, the unifying voice of Alan’s work is an unmistakable rhythmic melody whose themes continue to embody movie excitement and drama for generations of moviegoers. Hear bassoonist Ray Pizzi play a solo from bassoonist Alan Silvestri’s score of Fandango. Mark Elder moved from playing the bundle of sticks to a silent but powerful stick. Music Director of the Halle Orchestra in Manchester, the English bassoonist moved from the back of the orchestra to leading it. In an article in the Guardian about the music of Shostakovich Mark says, “One of the last pieces I played as a bassoonist with an amateur orchestra was Shostakovich’s Ninth Symphony. I loved it because it was funny and unpredictable: it chirrupped along and suddenly I got this long, passionate and stern bassoon solo at the start of the fourth movement. As bassoonists we revere the symphonic works of Shostakovich.” Is there a lost bassoon concerto by this master yet to be unearthed? We doubt it, but you never know. Thanks to Jonna Griffith for remembering this celebrity bassoonist’s appearance on Ellen. But, can someone find us a video link to what might have been a 2006 appearance. 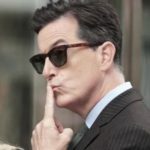 And he made a 2017 appearance on Stephen Colbert. You’ve seen him on TV: The Office and Six Feet Under. But the greatest thing about Rainn Wilson is that he actually played bassoon on the Ellen DeGeneres show as a great surprise to those watching and to Ellen. We are still looking for a video of that. Maybe he played Happy Birthday or something. Did you see this? Rainn is yet another Northwest Bassoon having grown up in Seattle. 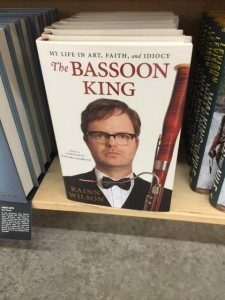 Click here to view Rainn Wilson, the Bassoon King, on Stephen Colbert. Click here to see Stephen Colbert insult every bassoonist with what he thinks is funny. This TV personality looks like he should be a bassoonist and he IS! “Shalit has performed with the Boston Symphony Orchestra in Boston’s Symphony Hall and Tanglewood…played his bassoon on stage in Lincoln Center…and conducted the Pittsburgh Symphony Orchestra in a full concert of classical music. In none of these venues has he ever been invited back. Lengendary jazz saxophonist Stan Getz was listed as a bassoonist (as well as sax) in the New York Musicians Union directory in the 1950s. Source Ray Pizzi. “The son of Ukrainian immigrants, Stanley Gayetzby (Getz) was born in Philadelphia but spent most of his childhood in the Bronx. During his adolescent years he quickly identified himself as a musical prodigy, taking up the harmonica at age 12 and then switching to the bass for six months before receiving his first alto saxophone at 13. In high school, Stanley was talked into taking up the bassoon, and mastered the instrument so quickly that a year later he was selected to play in New York’s All-City High School Orchestra, an ensemble that featured the area’s best players in his age group. After a period of study with New York Philharmonic bassoonist Simon Kovar the promising young windsman was offered a scholarship to Julliard, but it was too late: the wicked urges of jazz had already taken hold of his innocent soul and Stanley passed up the offer in favor of a new tenor sax and a membership in the local musician’s union.” Click here to view source. CBS Daytime star on As the World Turns played two reed instruments. Accordion and Bassoon. “Long considered the best actor in daytime television, Larry Bryggman has portrayed Dr. John Dixon on As the World Turns since the character’s villainous inception in 1969. Did the captain of Starship Enterprise play some chamber music and his 23rd century basooon? (Shantner’s Bassoon) created some controversy and confusion for those who have studied this portion of a twisted brain. Bones (To Spock) : Spock you confounded fool the captain has been flying solo since 8pm on his bassoon! Spock (To Bones) : Fascinating. Scotty (To All) : Come on! We’ve gotta help him, grab your instruments and meet me on the bridge. In one of his scripts he describes being a young bassoonist. Let us know if this is the truth or fiction! Click here for more information about Garrison Keillor on the air. The elder statesman’s voice is bassoon-like. He must have played bassoon. Frank Zappa liked the bassoon and used in some of his works. Maybe he did play it? We know that bassoonist Ray Pizzi performed with him and other bassoonists recorded with him. Frank said: “The bassoon is one of my favorite instruments. It has the medieval aroma, like the days when everything used to sound like that. Some people crave baseball . . . I find this unfathomable, but I can easily understand why a person could get excited about playing the bassoon.” Click here to view source. Who do you think should or could be a contrabassoonist? That strange voice in Slingblade? A weird contrabassoon! Brother Juan won a Halloween costume contest as Janet with his contrabassoon. It’s quite logical that Spock would like the contrabassoon, AND he made a recording to prove it! On Nimoy’s CD The Two Sides of Leonard Nimoy check out The Ballad of Bilbo Baggins. 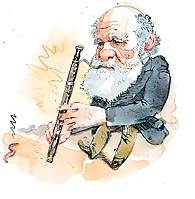 What about Charles Darwin, was he a bassoonist? [T]he following anecdote is recorded of Darwin, who, when studying earthworms, put them to a curious use. Earthworms are devoid of the sense of hearing, yet they move away from the footfall of birds and other enemies, and especially at the approach of their arch enemy, the mole. Like the blind, they are intensely sensitive to vibrations. One day a physician called to see Charles Darwin. The great naturalist was in the library with an iron tray containing earthworms. The worms took no notice of the jingling of keys, the shrill note of a whistle, or similar sounds, but when Darwin’s son played to them on a bassoon they the vibration and immediately began to wriggle. This source is very strange and interesting for other reasons: Read from the source. EUGENE SCHMITZ, Mayor of San Francisco during the 1906 earthquake. The Golden Gate city was in the grip of a heinous political machine headed by Abe Ruef, who had in his power Mayor Eugene Schmitz, a former bassoon player and orchestra leader tagged “the smallest man mentally and the meanest man morally that ever occupied the Mayor’s chair.” Thanks to the Ruef, Schmitz combine underworld leaders and corrupt businessmen plundered the city, their guiding principle, as one historian summed it up: “Encourage dishonesty, and let no dishonest dollar escape.” Submitted by Douglas Huff, DMA. Not very interesting or funny bassoonists?